Photo of: East Coast of Ireland: Louth/Meath. 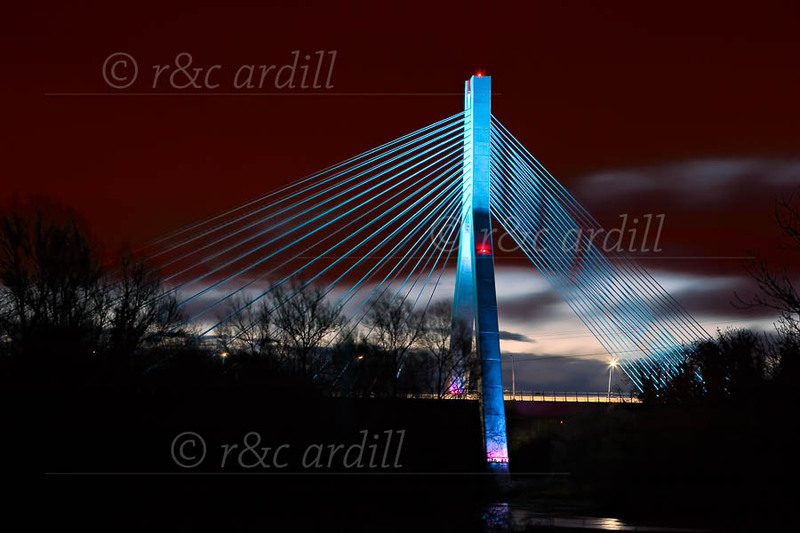 This is a view of the wonderful bridge that carries the Dublin-Belfast motorway across the river Boyne. It is illuminated by a bluish light that gives it an ethereal look. The photograph was taken just before sunrise with the lights of Drogheda reflected in the clouds.